Featuring case vignettes from nearly 30 years of Dr. Yudofsky's clinical practice and incorporating the knowledge of gifted clinicians, educators, and research scientists with whom he has collaborated throughout that time, Fatal Flaws: Navigating Destructive Relationships With People With Disorders of Personality and Character uniquely captures the rapidly increasing body of clinical and research information about people with severe and persistent personality and character disorders. Within these pages, the author brings to life the psychopathologies of personality and character disorders through vivid vignettes based on composites of his many patients and their most important relationships -- while meticulously changing the identifying facts and relevant details to protect confidentiality. Covering the clinical course, treatment, genetics, biology, psychology, and destructive consequences of hysterical (histrionic), narcissistic, antisocial, paranoid, obsessive-compulsive, addictive, borderline, and schizotypal personality disorders, Fatal Flaws stands out in the literature for these powerful reasons: - It is written for an unusually broad audience, from mental health students and trainees of all disciplines, to highly experienced clinicians, to patients who suffer from or are in destructive relationships with people with personality disorders.- It is a hybrid -- part psychiatric textbook for clinicians and part self-help manual for patients and clients with personality and character disorders. - It is designed to supplement treatment by providing patients with practical, evidence-based information about personality disorders and character flaws.- It is particularly valuable to patients who are in psychotherapy, in part, because they are entangled in destructive relationships with people with disorders of personality and/or character.- It is written in the first person, with the author directly communicating with a patient who either has a personality or character disorder or is in an important relationship with a person who has such a disorder. - It is useful for people who are uncertain whether they or their loved ones have personality or character disorders, and who want to know more about these conditions and their treatments before making a decision about securing the help of a mental health professional. 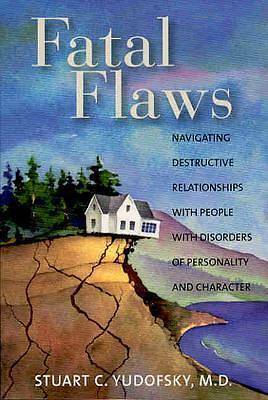 Fatal Flaws: Navigating Destructive Relationships With People With Disorders of Personality and Character is a compelling volume that provides the essential information and a realistic sense of the clinical experience required to inform, orient, and support novice mental health professionals and seasoned practitioners alike as they face the ongoing challenges of treating patients or clients with personality or character disorders. It should also prove to be an invaluable resource for those who wish practical and effective help in understanding and changing their destructive relationships with people who have severe and persistent disorders of personality and/or character.